He’s the one she’s been dreaming of, but is he the one she’s destined to be with? Tara McAllister has her life figured out: graduate from college, get a job teaching at her old high school, and find a boyfriend that won’t care that she’s a practicing witch. Everything is falling into place…until the visions begin. Tara’s practice has given her a gift–she sees the future. And for her, it includes a gorgeous man that she’s never met but definitely knows. She can feel it. Now all she has to do is find him. Derek Williams just wants to get by. He goes to school, works to help support his family, and enjoys the occasional party with his friends—as long as his gift doesn’t create a ruckus. Derek is an empath, born to feel what others feel and able to change their emotions with a touch. His inherited gift comes with an added benefit—the ability to find his soul mate, the one person he’s meant to be with. And he’s found her; he just has to keep her. As their relationship heats up and their gifts grow stronger, Tara and Derek must overcome disapproving family members, former flames, and a secret that could ruin them both, if their love is to survive. 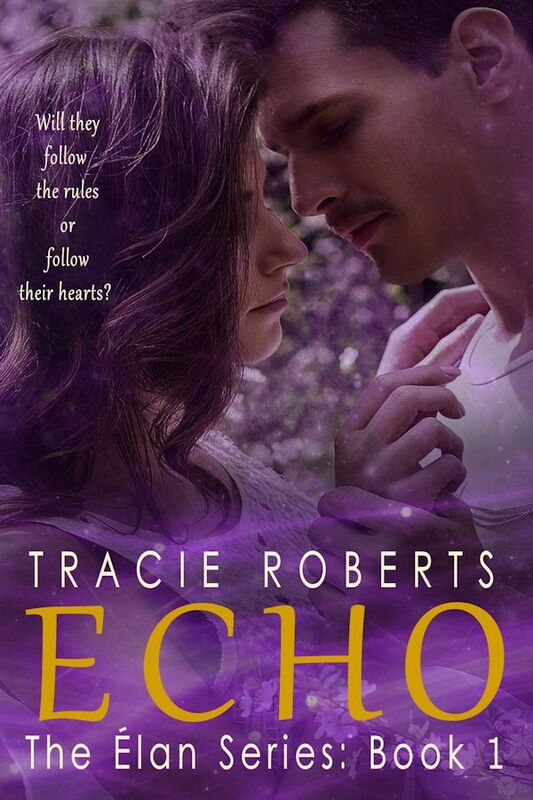 ECHO is now available on Amazon in paperback and ebook form.